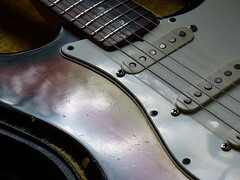 In the first installment I didn’t mention how inspiring the old Stratocaster has been for my photo-shooting . If you like, take a look again at the edge of its body in “volcanology”. Or how it matches the Vox AC 50. Or as a colorful vision in a dream. I already told you. 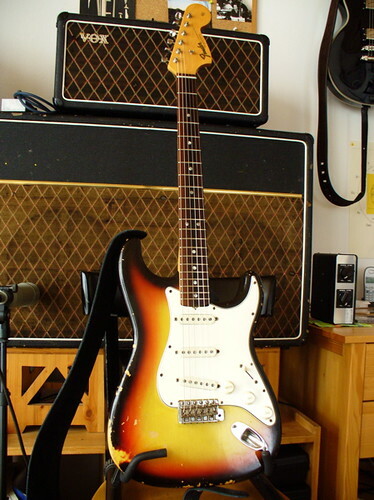 “My old guitar”, the rare Fender one, is not really mine. So parting with it feels ambiguous, too. I’m glad I explored its potential as far as I could by improvising regularly, by recording as many tracks as possible, making up many posts here and doing drafts for some songs I’m going to work on later. With a tear in my eye I am proud to present some of the very last recordings I made with this guitar. 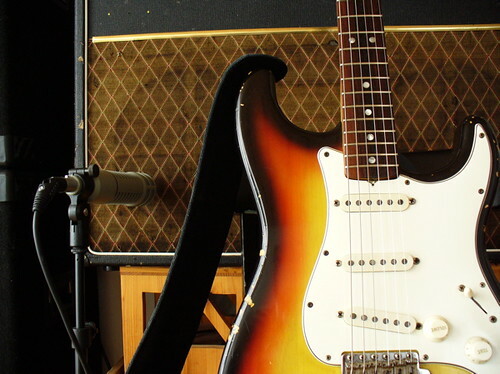 Recordings done without a purpose, just to “jot down” the sounds of the 1967 Stratocaster, that a friend of mine fetched today. He has every right to do that, as it’s his guitar. Rather, I’d like to thank Thomas for his generosity. En lieu of the guitar he left me something equally precious I will soon write about. 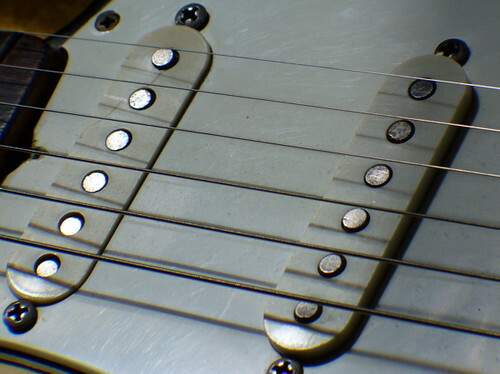 During my long lasting search for genuine 60’s sounds I experienced several cases of synchronicity: first a friend of mine purchased an original 1967 Fender Stratocaster guitar, which is an absolute rarity, and I was so lucky to receive the request to restore it. 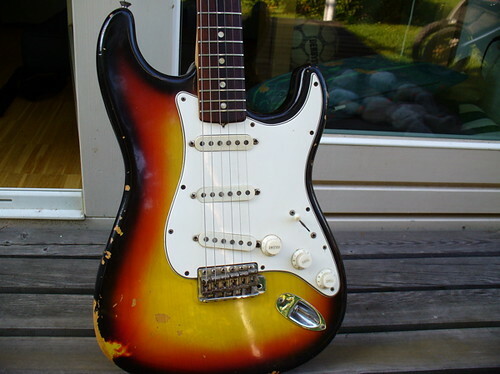 Many of the sound tracks on this blog were played on this very special guitar. Mind you, 1967 was the year of psychedelic music! Few weeks later an acquaintance told me he owned a real old amplifier plus a speaker cabinet, but he was forced to store it in the attic for lack of space in his house. I could have it assembled in my studio, if I liked to. Of course I liked to! It turned out to be a Vox AC 50, equipment also used by The Beatles, and its manufacturing date must be around 1965. It was in a rather bad condition, the speaker cones rotten, and all the knobs on the amplifier crackling for slack joints. Much more repair work was required than I could accomplish. But just around the time when I was pondering what to do, I met an old friend from school, whose job was exactly repairing amplifiers! Could anybody be as fortunate as me? Sparing you the details, after multiple efforts I ended up having just the authentic equipment for my future creative plans without paying that much for it. The power of the universe had colluded to provide what I needed – that’s what it felt like. So for me this is not about technical facts and such – it’s about synchronicity. And smell. Smell? Well, the so-called vintage equipment has a smell of its own, known as a fact among vintage freaks. And it’s true. Like incense, there is an inspiring smell of old wood and spices in my studio, reminding me of the vibration of a distant past. The amplifier spreads its perfume all over my room whenever it’s switched on. Sound? Oh, I forgot: the stack sounds fantastic, not with any guitar and depending on the situation, but I’d definitely miss something without it. 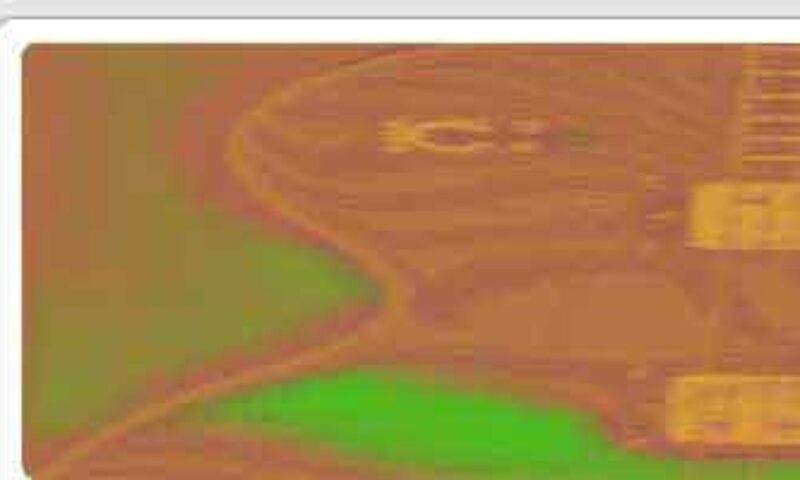 In public opinion, psychedelic music or what is called “psychedelia” (totality of art forms related to psychedelic experience including light shows), is strongly associated with the use of illegal drugs. Concerning art as a universal expression of all human aspects, this is too narrow a view. Psychedelia are always just an imitation of certain states of mind. These may well be experienced without the use of drugs. Although, historically, there has been a vivid connection during the Sixties, when musicians started to take LSD or the like in order to expand their consciousnesses – whatever this might have included. I myself have been completely clean and sober (how boring!) when starting this project and will stay so; although I do not lack experience. But as for the music, that’s not the point. Meditation seems to be a much better means to achieve deeper states of mind – albeit requiring more effort. I’ve heard people suspect a one-man-show like this to be a display of egocentrical narcism, or, even worse, autism. I hope you don’t share this view. Concerning music, opinions are strong that it is a communicative art meant to be performed together with other people and in front of others. Although the possibilities to record and to listen to music via new media have expanded on a large scale over the last decades, and the above mentioned is not necessarily a dogma anymore, it is what I get to hear from many people around, especially if they are musicians themselves. To be on one’s own when making art is considered quite normal with writers or painters – not with actors and dancers, of course, but apparently also not with musicians. I find myself to be inclined towards the first of these two camps (maybe I’m virtually a painter of sounds), and although I’ve played a lot of music with other people in my life, it feels quite natural for me to improvise or compose on my own. And I don’t feel lonely at it. And that’s because it’s not only me involved there. Not only me playing. Not only me improvising. I would not go as far as to speak of “channeling”, but really, at least my guitars whom I deeply love, are talking to me. Or talking through me. I believe they are creatures of their own right and their own mind. On days when I can tune in to what they are to play, I better not think and just let the flow do the playing. On the contrary, there are days when I’m stressed and tense, and it’s only me playing. Then the music becomes poor, distracted, unfocused and disturbed by wilful decisions that do nothing better than interrupt the flow. So what’s the use of talking about narcism, merely because there’s just one player here? I hate those days when it’s only me playing! 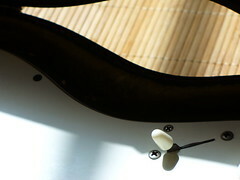 On the occasions when I’m successfully recording, I try to get the vibes of my guitar, either caressing or plucking the strings hard – but always in a way to get something special out of my instrument, a vibration inhabiting it that’s destined to be translated into music. Maybe it also helped that I did some modifications on my guitars, making them a bit more “my own”, but after all it doesn’t matter why. I simply feel glad to be able to do this. I’m certainly not the world’s most skilled guitar player – but who needs still more technique and speed? I can do with what I’m able to do, mistakes make me smile. I’m delighted and feel privileged to experience a majority of days when it’s more than just me strumming along. I don’t know what or who it is, but I hope I can convey some aspects of “our music” to you. Clearly it has nothing to do at all with what you hear on the radio, but at least it’s authentic and spontaneous.